DPG is a full service Real Estate and Development company. With over 15 years in the industry we feature not only Commercial and Residential Real Estate with some of the best real estate personal in the industry but we have the experience in construction and multi million dollar projects. 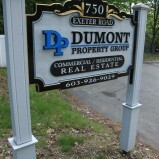 If you have a property to sell or looking at buying commercial or residential property look to The Dumont Property Group and it’s well trained licensed professionals.